This island republic sits in the western Pacific Ocean, about 620 miles (1,000 kilometers) east of the Philippines and 805 miles (1,295 kilometers) southwest of Guam. It boasts a spellbinding natural landscape made up of islands swathed in lush green forests, glass-like lagoons and white sandy beaches. Ocean life flourishes in the unblemished ecosystem and around multiple shipwrecks, making it a true nirvana for divers. Once an almost unreachable tropical hideaway, today the Palau island archipelago is an accessible destination and here you’ll find out about the best ways to get there. With the continual rise in popularity of Palau as a tourist destination, there are now several international airlines that travel to Palau. U.S. carriers include Delta Air Line and United Airlines. Fly with Asian carriers such as Asiana Airlines, China Airlines and Korean Air. Also serving Palau is Lion Air, Mega Maldives, Pacific Mission Aviation and Palau Pacific Airways. 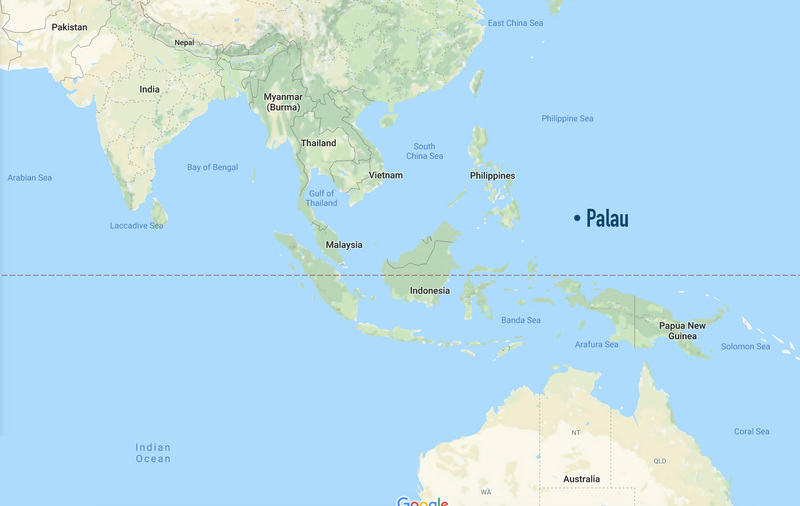 It’s important to understand that there’s seven major hubs for flights to Palau’s Roman Tmetchul International Airport (ROR), over half of which are reachable via direct flights from the U.S. and Canada. A direct flight service is yet to be opened from North America but even with connections you can often arrive in under 24 hours. Yap is another beach-lover and scuba-diver’s heaven situated 310 miles (500 kilometers) to the northeast. The 1-hour outbound flight departs Yap International Airport (YAP) once a week on Saturday morning, with the return leaving late on Sunday evening. To get to Yap you’ll first need to fly into Guam from major U.S. cities such as Atlanta, Houston, Los Angeles, New York and San Francisco. These flights all include a connection in Honolulu. With daily flights from Antonio B. Won Wat International Airport (GUM), flying via Guam to Palau is a great option because of its access to the U.S. Fly from your nearest airport to Honolulu, connect to Guam and reach Palau in under 24 hours. United Airlines fly to Palau from Manila in just 2.5 hours. Outbound flights depart Nino Aquino International Airport (MNL) on Monday, Tuesday, Thursday and Friday, with the return leg departing on Tuesday, Wednesday, Friday and Saturday. There’s two daily nonstop flights to Manila from Los Angeles and a daily direct service from San Francisco. Get to Manila direct from Toronto four times a week and daily from Vancouver. From Taiwan Taoyuan International Airport (TPE) it takes just four hours to fly to Palau and the flight departs four times each week. Despite the short flight time, unless you are visiting Taiwan before or after your Palau vacation this mightn’t be the most convenient option. Direct flights are possible from Los Angeles, New York and Vancouver, but otherwise you’ll have to add another leg to your journey by connecting in Seoul or Shanghai. It takes about four hours to reach Palau from Hong Kong International Airport (HKG), although direct services are infrequent so you might end up with another connection in Seoul. The beauty of this route, however, are the multiple nonstop flights from major U.S. and Canadian airports, namely Boston, Chicago, Los Angeles, New York, San Francisco, Seattle, Toronto and Vancouver. And, if you manage to get the direct Hong Kong-Palau service then you’ll only have one connection to worry about. Tokyo’s Narita International Airport (NRT) offers a direct service twice a week with a 4.5-hour journey time. This is another comfortable option for your Palau vacation travel plans as Tokyo possesses one of the world’s most widely-connected airports. The following and more all have daily departures; Boston, Chicago, Dallas, Los Angeles, New York, Portland, Vancouver. Like Hong Kong, Seoul’s Incheon International Airport (ICN) is a busy hub for travel to Asia. Chicago, Los Angeles, New York Toronto and Vancouver all offer two or more daily nonstop flights here. Once landed, it’s just an addition 5-hour flight down until you reach your dream diving destination. Flights leave for Palau four times a week. 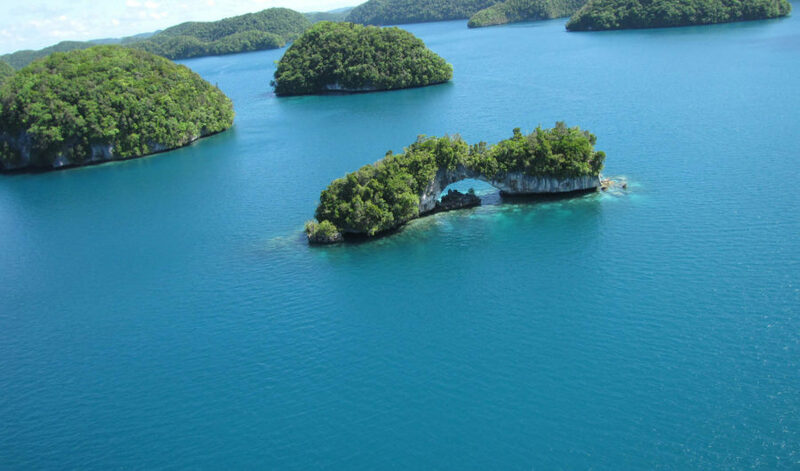 For example travel in March 2019, to coincide with our Palau scuba diving trip, flights from the U.S. with one connection start at around US$1,700. As a general rule, journeys starting from west coast airports are cheaper. From Canada prices start from $1,800. Make use of the price alert tools on flight search websites to get regular updates sent to you by email. It’s worth searching both the booking websites and the airlines’ official pages to get a genuine comparison. If you don’t mind spending time browsing your options then you may find cheaper deals when booking separate return flights to one of the mentioned hubs and then onto Palau. Just be mindful to allow enough time between the connecting flights. This is especially important should you have to go in and out of immigration. 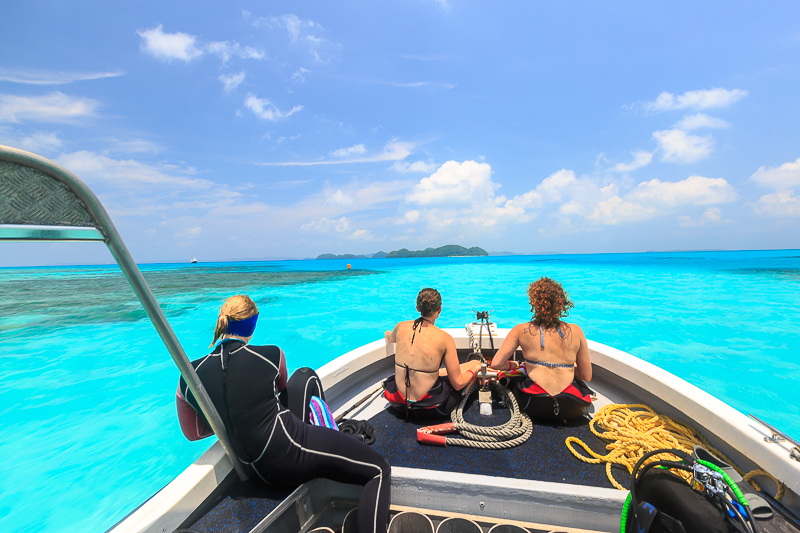 Our trip comes toward the tail end of the peak diving season in Palau, therefore you may want to book ahead to secure your flights and benefit from the best range of fares. 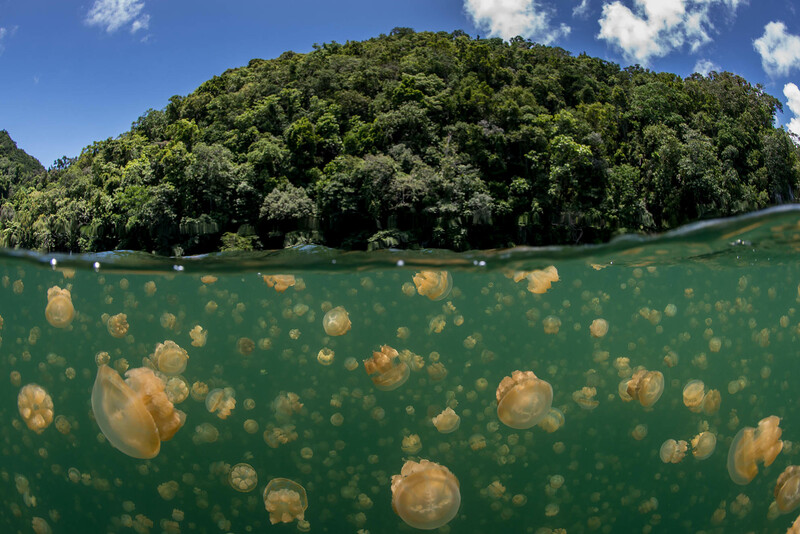 Visitors to Palau from any country are granted a 30-day tourist visa upon arrival, so there’s no need to worry about filling out an application form beforehand. Check before traveling that your passport is valid for six months and have your proof of return ticket ready to show. U.S. citizens are entitled to a 1-year visa upon arrival. Once you’ve landed, you can relax knowing that we’ll make life easy for you by picking you up at the airport or hotel on the morning we set sail to paradise. Then, after seven days of diving adventures we’ll finish with a hearty breakfast and some time for reflection before whisking you back in time for your flight home. From as early as he can remember Bradley was road-tripping across the UK, France and Spain with his family. Since then he's visited 40-plus countries and lived on four continents. 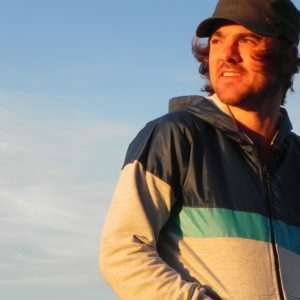 Today he divides his time between the captivating chaos of Buenos Aires and the beaches of Punta del Este, Uruguay and puts his wanderlust to good use writing for well-known online travel brands.